A construction worker fell to his death Monday morning in the Kenwood neighborhood on the city's South Side. 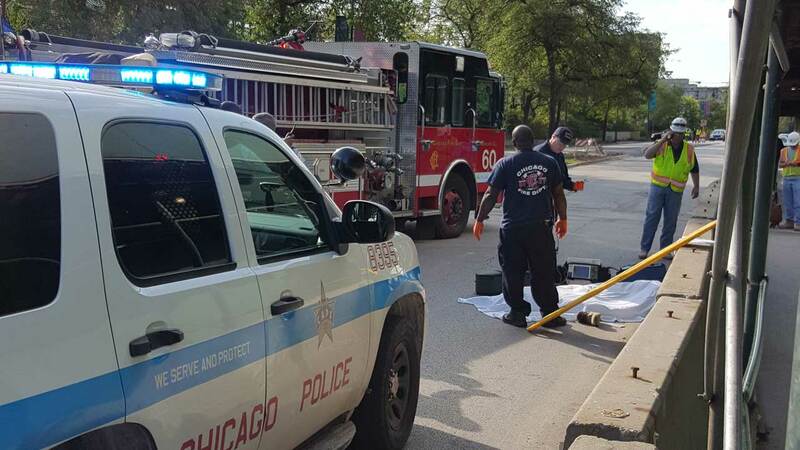 CHICAGO (WLS) -- A construction worker fell to his death Monday morning in the Kenwood neighborhood on the city's South Side. The man was working at a 16-story construction project at Hyde Park Boulevard and Lake Park when he fell around 9:15 a.m. Chicago police said they got a call that the man had fallen from the 'top' of the building. He died on the scene, officials said. Chicago police said the man was dead at the scene.